The slow and agonizing process of the Oakland Raiders’ new stadium is closer to reaching a conclusion and some Raiders fans will not like this. Clark County Commission Chair Steve Sisolak tweeted that the Raiders have officially filed the necessary paperwork to relocate from Oakland to Las Vegas. The NFL also released a statement in support of the Raiders’ decision. This surely puts the Raiders closer to leaving Oakland for the second time as a team and become the third NFL team to relocate within the last two years. But it’s not a 100% done deal. The Raiders still need to ensure they get the funding for their new stadium. 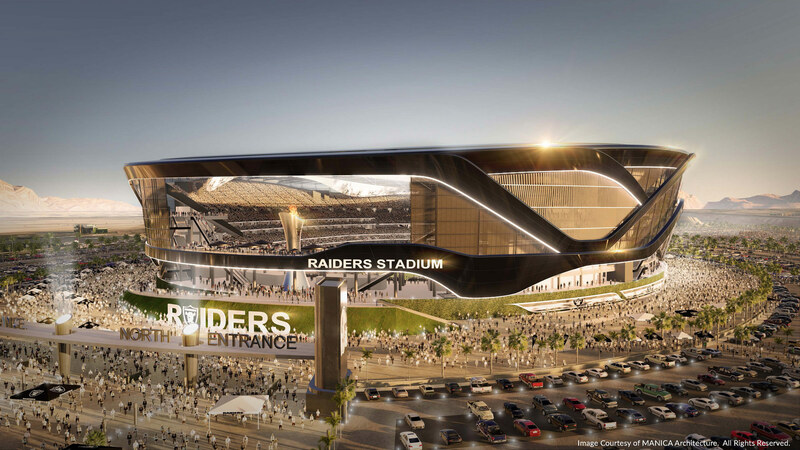 The current plans are for a $1.9 billion stadium that is reportedly being financed either by the city of Las Vegas, the Raiders themselves, and/or casino executive and owner of the Las Vegas Review-Journal Sheldon Adelson. So the stadium has a good chance of getting built and the Raiders have to have been willing to pay the $500 million relocation fee to the NFL from the start. This means there are only two future situations that could arise that would prevent the Raiders moving to Las Vegas. One would be that the city of Oakland gives the Raiders what they want and provides public money to build them a new stadium. And, like the city of San Diego and the Chargers, Oakland isn’t going to give in to this last chance. The other would be that the Raiders wouldn’t get the required 24 votes from the 32 owners to approve the move. But even though there was an initial fear about the NFL in a city that allows gambling and sports books, it seems like that won’t be much of an issue either. NFL Network’s Ian Rapoport is expecting a March vote and once the Raiders get the necessary votes, the move will go ahead. The Raiders would need to stay in Oakland for the next two seasons but would move into Las Vegas in 2020. And in that time, the fans in Oakland will be dealt another blow just as their longtime underachieving team just got good.